The West Linn football team was one of the state's best teams all year long. From their epic battles with state finalists Lake Oswego and Sheldon to their huge wins over Lakeridge (twice), Tualatin and Central Catholic, the Lions proved they were the real deal. And the rest of the state noticed. In the all-state football balloting for 2018, West Linn saw players honored at eight different spots — four each on offense and defense. Junior wide receiver/defensive back Casey Tawa and junior offensive and defensive lineman Ryan Seth were honored on each side of the ball, with Tawa named to the all-state second team as both a receiver and DB, while Seth won a second-team berth on offense and an honorable mention spot on defense. For the season, Tawa came through with 63 catches for 904 yards and eight scores on offense, and on defense, finished with 41 tackles, one interception, eight passes defended and one caused fumble. Seth, meanwhile, earned his place after previously being named a two-way first-teamer in the Three Rivers League and the TRL's co-Offensive Lineman of the Year. "Ryan Seth is one of the most dominant two-way players in the state," said West Linn coach Chris Miller. "(He was) our best offensive and defensive lineman." 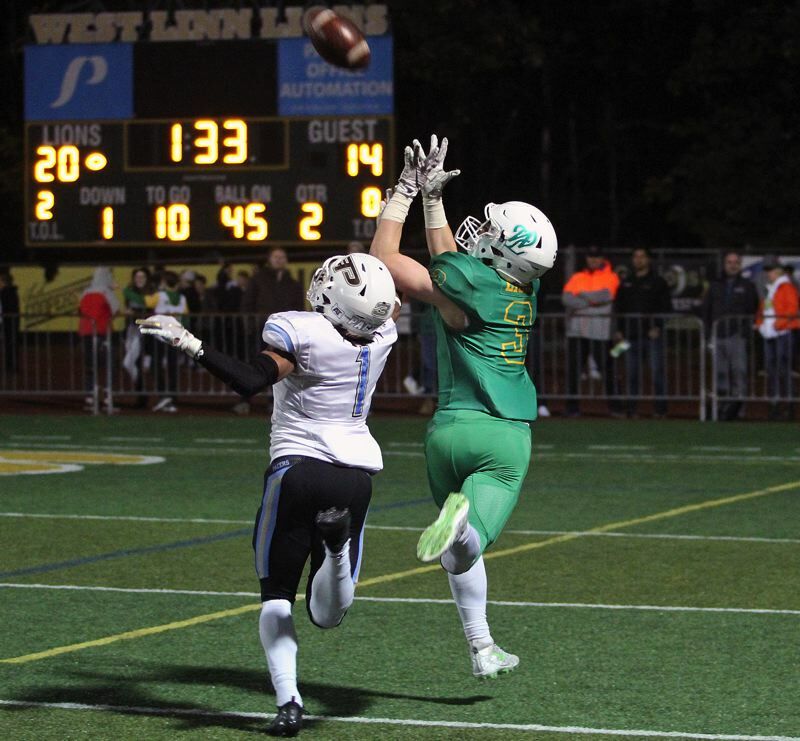 In addition to Tawa and Seth, senior wide receiver Cade Knutson was named to the all-state second team after leading West Linn with 62 catches for 1,043 yards and 10 touchdowns, while senior running back Dawson Jolley was named to the Honorable Mention team after amassing 1,572 yards and 22 TDs on just 182 carries. In addition to Tawa's selection on defense, Seth, senior linebacker Brian MacClanathan and Max Jacobs all won berths on the all-state Honorable Mention team. MacClanathan tied for the team lead in tackles with 115 (including 7.5 for loss with 2.5 sacks and one interception), Seth made 47 stops (12 for loss, including five sacks), Tawa made 41 tackles (one for loss with one interception) and Jacobs had 90 tackles (six for loss and two interceptions). For Offensive Player of the Year, candidates are Lake Oswego quarterback Jackson Laurent, Lake Oswego running back Casey Filkins, Sheldon running back Matthew Burgess and Clackamas receiver Richard Kennewell. For Defensive Player of the Year, candidates are Tigard defensive back Max Lenzy, Tualatin linebacker John Miller, West Salem linebacker Alex Hurlburt and Clackamas lineman Justice Pagan. For Coach of the Year, longtime Lake Oswego coach Steve Coury is one of four nominees for 2018.